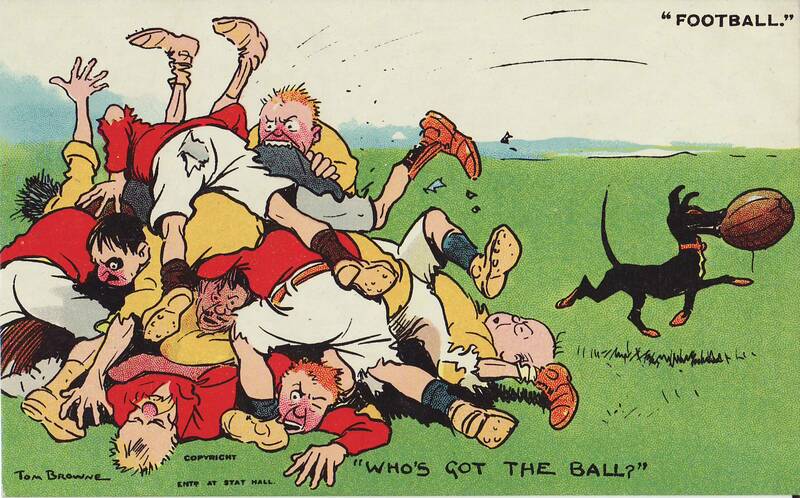 Tom Browne was an English cartoonist, painter and illustrator, born on 8th December 1870 he started work as a milliner’s errand boy in 1882. 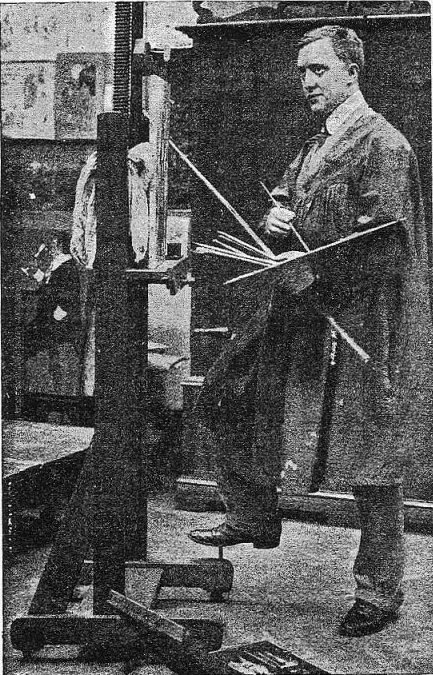 From there he became an apprentice to lithograph printers, and made a living drawing freelance cartoons for London comic papers. 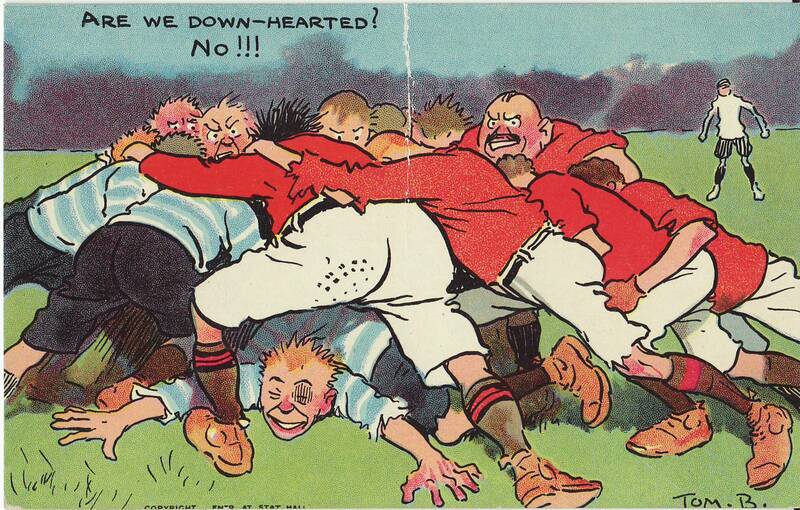 After his works became very popular it enabled him to move into a studio in Wollaton House ‘London’ he would produce six full page strips a week and also managed to produce works for several British magazines including Punch. 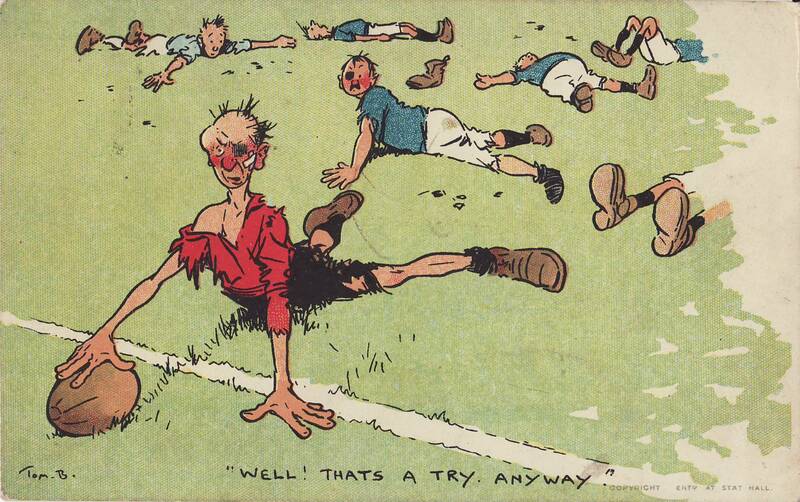 One of his more famous works was for Johnnie Walker whiskey when in 1909 the company wanted to rebrand their product and ‘striding man’ was born (which is still on their bottles to this day). 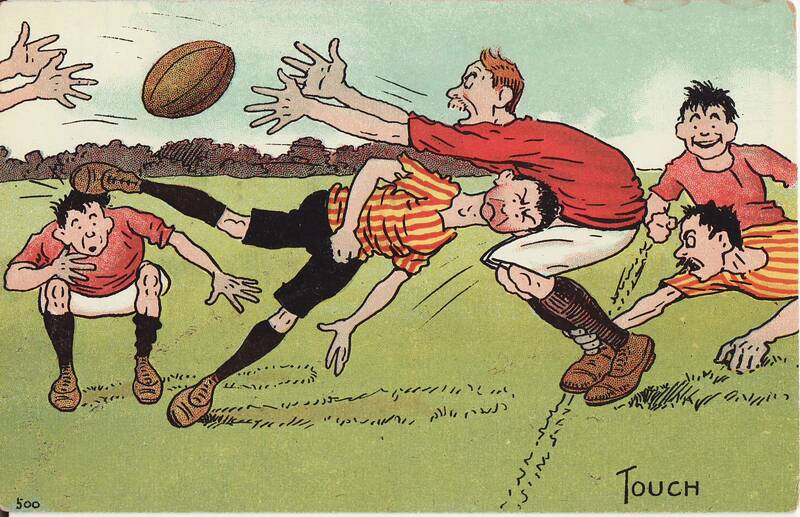 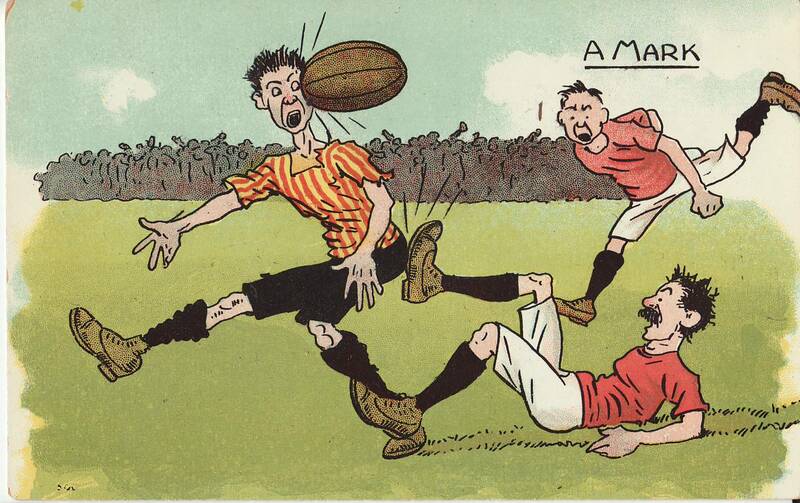 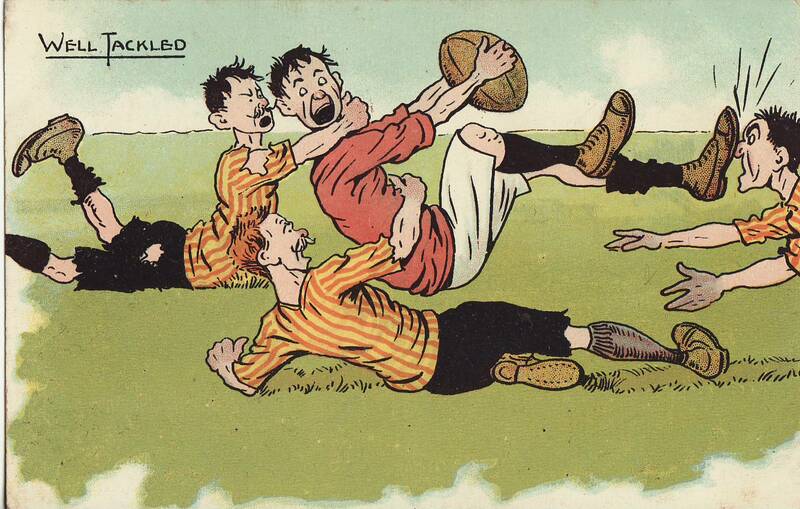 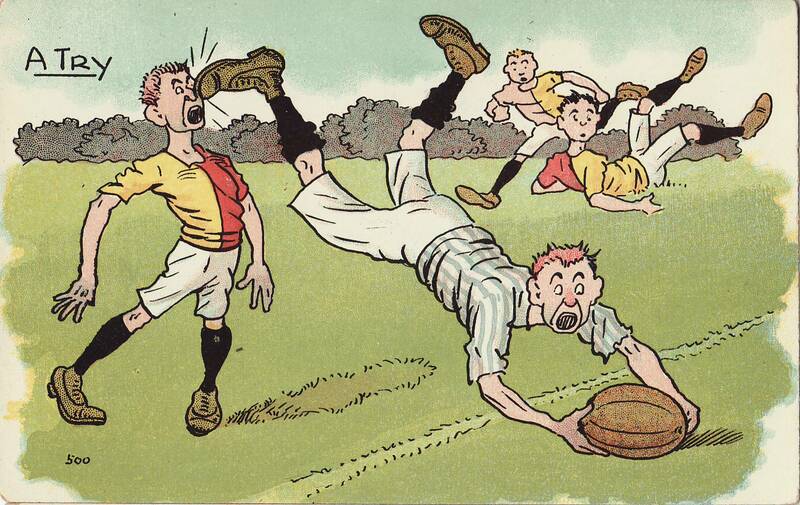 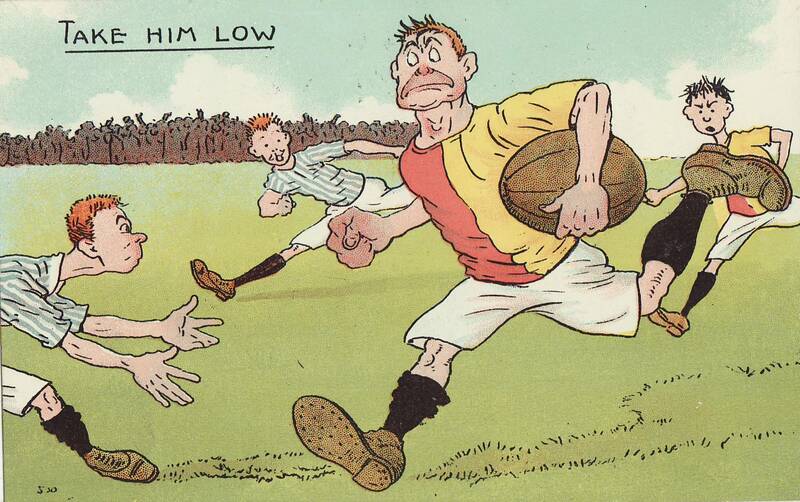 Below are a selection of Postcards by the artist which have a Rugby theme.